Special Agents from the Federal Bureau of Investigations (FBI) risk their lives and the safety of their families to protect and serve, yet politicians in Washington, D.C. have left many of them stranded, without fuel, and feeling as though their operational integrity has been compromised. As a result of politically-motivated sequester cuts, many in the FBI worry they cannot do their jobs as well as when they had adequate funding. Some FBI offices have ordered staff not to use their government vehicles, as sequestration has left them with no monies in their fuel budgets. Without use of their vehicles, FBI Special Agents cannot do their jobs effectively. Such cuts, combined with sequestration, ripped more than $700 million from the FBI’s 2013 budget. National security and public safety are supposed to be the top priorities of government, but were treated in the sequester as equivalent to other forms of discretionary spending. The administration has also abused its own discretion in assigning cuts, as in its controversial decision to free detained illegal aliens. The cuts to the FBI come at a time when Mexican cartels are increasing operations in the U.S. through prison gangs, which operate outside the cell walls as the Mexican Mafia and the Aryan Brotherhood; when prosecutors are being slain in broad daylight or at home; when a federal prosecutor resigned from a case due to fears over his safety and that of his loved ones; when U.S. Border Patrol Agents have leaked images of Mexican drug smugglers being escorted by men with an AK-47 on US soil, and when there exists a high likelihood that the Mexican Gulf Cartel has begun using the Aryan Brotherhood in the U.S. as assassins and ground troops. We are meeting at a Starbucks in the morning and carpooling in a private car. Once at the office, we are not allowed to use our government vehicles to perform our duties. I am concerned about the integrity of our mission. What is going to happen if a terrorist attack or other emergency occurs when we do not have gas in our vehicles and aren’t allowed to use them. Long before money problems, there was a culture of not using our own vehicles, both because of the liability to the Bureau and because it exposes our identities and bad guys can find our spouses and children much easier. If we are doing surveillance or doing the necessary interviews with sources or bad guys that are required to keep Americans safe in our personal vehicles, they can easily find us or who we are. Claims about the FBI’s field operations being impacted by a severe lack of funds was confirmed by both the president FBI Agents Association (FBIAA) in an exclusive telephone interview with Breitbart News and in an official statement issued to Breitbart News from the FBI Headquarters Public Information Office. The claims of fuel shortages and Special Agents being left unable to use vehicles was confirmed only by the FBIAA, but FBI Headquarters did not contradict or deny that claim in their response to Breitbart News. Knowing the men and women who serve our nation in the FBI will do everything possible to carry on their mission in the face of monetary neglect from politicians in Washington DC makes the exclusive official response from FBI Headquarters to Breitbart News all the more heartbreaking--and frightening. The combination of the reductions included in the FY 2013 full year CR and sequestration will require the FBI to cut more than $700 million from its FY 2013 budget, requiring significant reductions in all programs. Each FBI division and field office is scrutinizing its budget for cost savings. At the same time, every effort is being made to minimize the impact on field operations as we balance the need to reduce spending with our mission to serve and protect the American people. 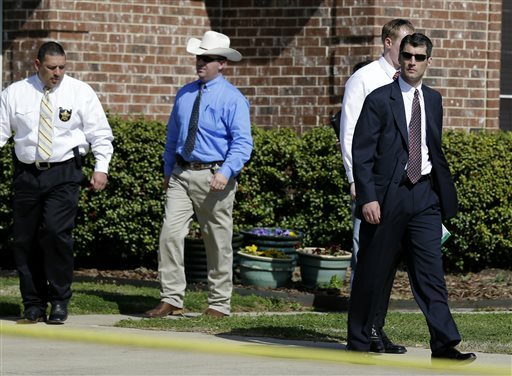 One immediate impact of Washington's failure to prioritize national security and law enforcement may have been the decision of an assistant U.S. Attorney to back out of prosecuting the Aryan Brotherhood in the wake of the Kaufman County, TX prosecutor slayings. The FBI is one of the key agencies charged with keeping federal prosecutors safe, yet the federal prosecutor recused himself from the case due to "safety concerns."